Pontificia Universidad Javeriana, or La Javeriana called by its students, is a private university with many different faculties. It’s also one of the oldest, most traditional and prestigious universities in Colombia, founded back in 1623. It’s no surprise that many of the country’s ‘elite’ have been educated here and that Pontificia Universidad Javeriana has received a lot of recognition for their outstanding academic research. With campuses in Bogotá and Cali, studying at La Javeriana is a great opportunity to experience the Colombian culture and explore the country. Where to start? There are only twelve universities in Colombia accredited for its high quality institution, La Javeriana is one of them. The university has 21 undergraduate programs with high quality accreditation and additional eight being in an advanced stage of the accreditation process. In graduate programs, 87 program are acknowledged through the Qualified Registries and 29 are in process. Additionally, La Javeriana is ranked number one among the private universities in Colombia for having the largest number of refereed journals. It has proven to be a research based university that resonates well with most of the European education, and well worth the travel. On the world ranking of universities La Javeriana is between #461 and #470, while being #20 on the list of top Latin American universities. 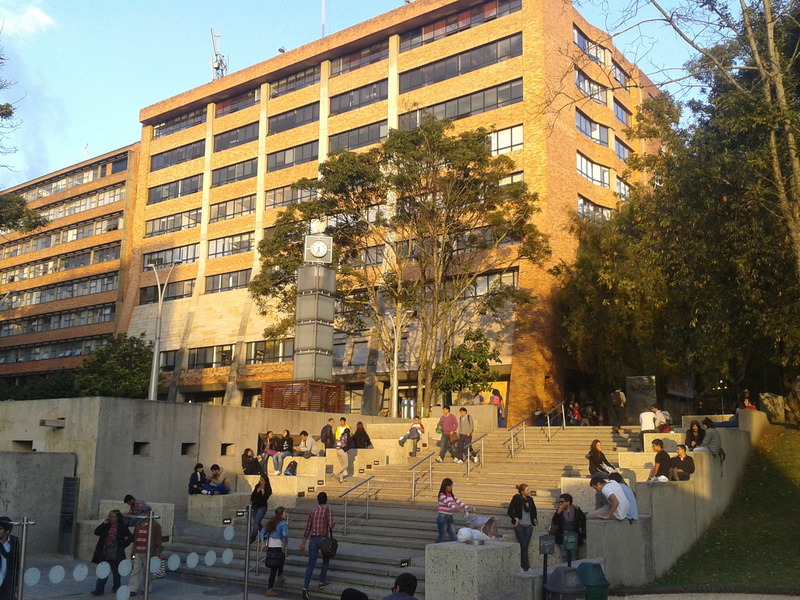 La Javeriana University is situated in two locations; the main campus in the capital Bogotá and a smaller campus in Cali. In Bogotá are the vast majority of students and courses given. Over 188 different academic programs are given spread out over the 18 departments. The other campus in Cali is located in the South West of Colombia and provides over 7,000 students with high quality classes in Engineering, Economic and Administrative Sciences and Humanities and Social Sciences. The main campus in Bogotá covers an area of 1.8m2 for 45 buildings. These include 26 academic buildings, two libraries, radio station, television studio, 3 hospitals, banks, 10 cafeterias, 3 auditoriums, indoor arena, football field, and 74.000 square meters of gardens. It’s a campus you have never experienced before. It’s huge, provides all the facilities you need, and it’s even fun to be there. Instead of only studying and thinking about exams, it’s a lifestyle for many and often students just hang around on campus to relax. 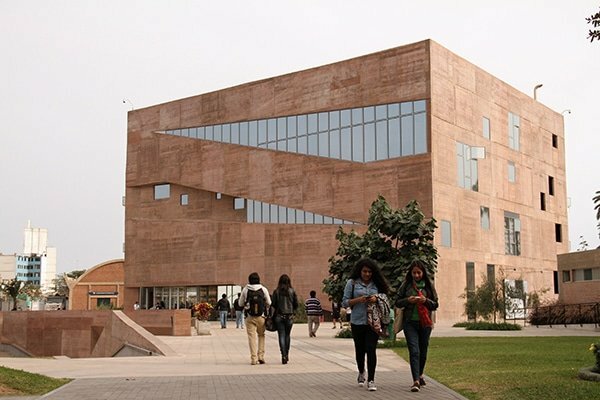 To enhance the learning experience, La Javeriana University offers the first Communication and Information Technological Resource Center in Latin America. It improves the development of education, sound, image and design. The studying atmosphere at Javeriana is perfect. The courses and lectures are given in small groups of students, new study equipment is provided and the Sports Center and Library create a complete and satisfying service for students. Many are drawn to the lifely city and the high quality private university. Bogotá is a city with almost nine million people and yet feels like consisting of many small neighborhoods with a clear sense of community. Bogota differentiates itself with a low cost of living and a high rating in housing, tolerance and outdoors. A lunch would only cost you around 4 EUR, a movie ticket 4 EUR and a beer 1.30 EUR. The average temperature is around 20 degrees all year round so that’s always a good reason to get a cheap beer in the sun after a full day at La Javeriana University. Doesn’t that sound great! Colombians are known for being very friendly and that’s absolutely true. They are incredibly generous and open people that will easily invite you to spend time with their families, and family is important to them. Their English level is not near sufficient, but this provides you with a great opportunity to speak Spanish. The Colombian government has made it a priority for people to learn a foreign language and many companies require employees to take English classes. La Javeriana University receives many international students with the International Academic exchange program. The minimum period of stay in one semester and the maximum is one full academic year. Although this is very common at exchange programs, you can select your own courses of interest as long as it is related to your study at your home university. In Colombia the grading system might be different than you are used to. A scale from 1 to 5 is often applied at which you will need to get a 3.00 to get a sufficient. Another scale often used is from 1 to 10. Here you will need to get a 6.00 to pass the exam. Bogotá is a beautiful and amazing city to live it. There is always something to do and enough places to explore, either in the city or outside the city. Still there are many things you need to be aware of when renting a room. La Javeriana does not have its own residence hall but helps international students finding a family home or university residence to stay during the semester in Bogotá. Their estimated value of the accommodation costs including food is between 320 USD and 650 USD per month. When in contact with Pontificia Universidad Javeriana you can ask the Student Support Point for more information. Tellanto has a lot of experience with students going to Bogotá who shared their stories. We know all the good locations you could live with international and local students, comfortable rooms and close to Pontificia Universidad Javeriana. If you like, let’s get in touch. Hi. I have checked your tellanto.com and i see you’ve got some duplicate content so probably it is the reason that you don’t rank high in google. You actually make it seem really easy along with your presentation however I find this topic to be actually something which I feel I’d never understand. It sort of feels too complicated and extremely huge for me. I am having a look forward in your subsequent submit, I will attempt to get the grasp of it!